Whenever I’m interacting in Yuri Facebook groups, one of the most common question that pops up every now and then is this: Where can I buy yuri manga? As years go by, there has been a growing need and demand for yuri manga and related girl’s love literature in the Philippines. The demand is quite evident as more and more people leave a lot of inquiries related to them. In this article, I will be sharing the basic places on where to get your Yuri manga based on my experience. If you’re a beginner of getting into the genre, then this guide might be really helpful. This will be updated every now and then as I get info on more sellers. Whenever I’m looking for books, Fully Booked is one of my go-to bookstores. Its main branch located in Bonifacio Global City is one of the key places I go whenever I travel to Manila. For those looking for physical copies of yuri or girl’s love, this is the first place to look. If you’re in their BGC branch, their manga section is at the top floor just near the door to their comics area. If you are looking for GL novels, you can check out the other floors which are separated by genre. They have guides when you inside so you wont get lost. Also, you can always ask the friendly Fully Booked staff to help you. You usually get notable yuri titles published by Seven Seas Entertainment here. I was able to get my first volume omnibus copy of Whispered Words in this branch as well as one volume of Citrus. Milk Morinaga’s works like Girl Friends, The Secret Recipe, Hana and Hina After School, and The Secret of the Princess are also available. Also if you are not near to any of their branches in the country, you can buy from them online but note that the books are subject to availability and the online prices may be different from when you go to the physical store. If there is a specific title that you wish they have available, you can make a request in their customer service area. This is usually what I do whenever I drop by and I am just surprised on my next visit a couple of months later, they already have them in stock! Just provide them the name of the manga or book you want to request including important details like the author name and publisher. Sending a personal message to their official Facebook page won’t hurt too. I added NBS to the list because some were able to buy some local GL works here (e.g. those published by BLACK INK comics). There’s a slim chance you’ll find GL novels here though since the place gives majority selling school and office supplies. If you’re looking for locally-made GL comics like World Canvas* or DRIFT*, as well as the novel titled Strange Love**, you can find them in National Bookstore. To be honest, my copies of World Canvas and DRIFT were given to me as gifts. I will still be in the hunt looking for a copy of Strange Love in the nearest NBS branch here. If you want to get more Yuri titles and just build your collection, then Eiwa Manga Store is a place where I highly recommend. Aside from yuri, they also sell manga and graphic novels from other genres as well. They don’t really have a physical store, but you can contact them online through their Facebook page. My first Omnibus volume of Milk Morinaga’s Girl Friends came from Eiwa and so far they have never failed to offer great yuri manga titles for fans like me. If there is one specific yuri manga or book that you want but have trouble in getting it outside of the Philippines, then they can possibly help you out as well. BOOKSALE is a haven to find various titles of books for the lowest prices. I added this in the list here because this is where some of the yuri manga in my collection were bought. Believe it or not, I snagged a volume of Negima and a second Omnibus volume of Girl Friends here. 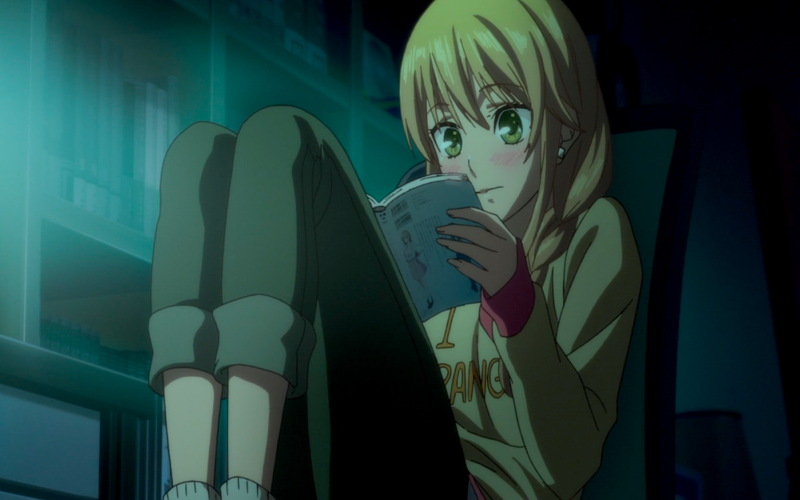 Please note however that currently, there’s been a noticeable decline of manga available in the branches. So if ever you have extra time to spare, finding yuri manga here is like finding a needle on haystack. But some do get lucky sometimes. 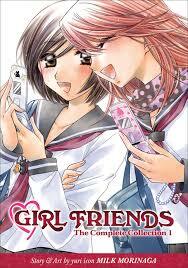 Know a local seller or business in the Philippines that sell yuri manga or novels? Please do reach out in the comments section and I’ll update this article as much as I can. *All logos are from each business’ respective Facebook pages.